Xing Mobility presents at the Goldman Sachs TechNet Conference in Hong Kong its 1 MW electric supercar called Miss R, announced back in 2017. The Taipei-based company is focused on developments of powertrains and battery systems for various automotive applications and uses the Miss R supercar and upcoming Miss E racing car as halo cars. Xing's battery is the first one that works by directly submerging cells in 3M Novec, an engineered cooling fluid that vastly improves heat transfer and cell uniformity. The pack in Miss R consists of 4,116 18650-type cells for a total of 52 kWh. 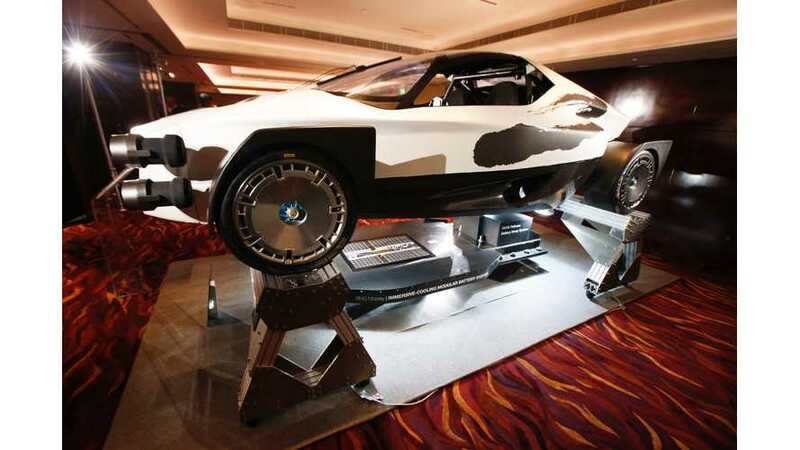 "Electric Vehicle startup XING Mobility presented their rally-inspired supercar to an audience of business leaders and industry analysts at Goldman Sachs’ TechNet Conference in Hong Kong this week. 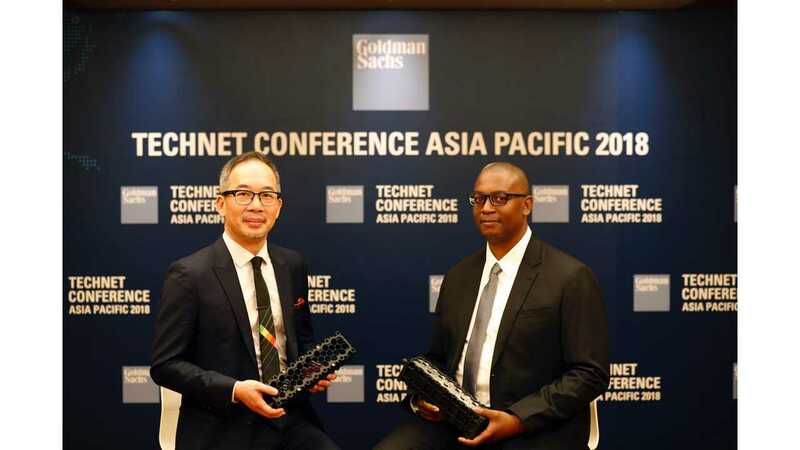 The annual conference brings together industry experts and thought leaders to discuss opportunities and challenges for the technology industry. 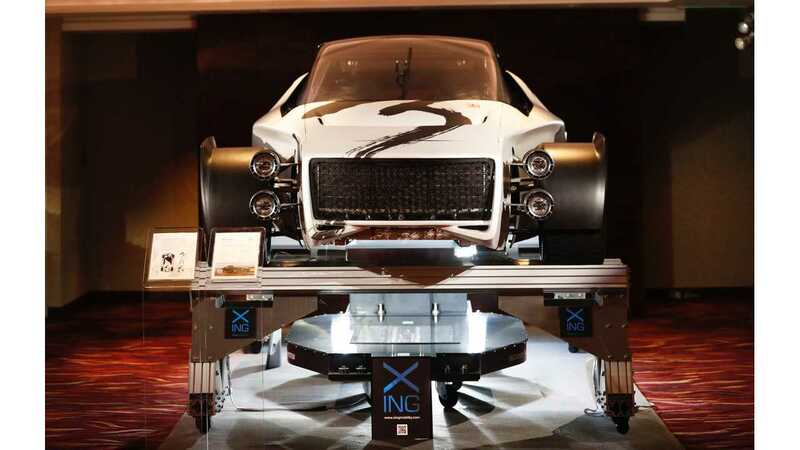 At this year’s TechNet Conference, XING Mobility celebrated electric mobility’s impact on global progress by presenting Miss R, their 1 Megawatt supercar, elevated above its 4116-cell, 98-module battery pack to expose what the company consider to be “the core of their electric powertrain systems”." "Once activated at its full potential, the supercar’s four 350V motors and 1 Megawatt (1341 horsepower) battery pack is projected to reach performance levels of 0-100km/h in 1.8 seconds and 0-200km/h in 5.1 seconds. The detached battery pack display also reveals extremely fast battery swap technology that sees the entire battery enclosure exchanged within 5 minutes, tackling range and charging restraints. With preparations underway to make the car available for orders in autumn this year and a complete prototype unveil set for 2019, the company hope that using Miss R as proof of concept, more and more vehicle makers will take advantage of XING’s groundbreaking developments in EV technology. However, speaking to an audience of technology leaders, the company’s co-founders raised concerns that the commercial, industrial and recreational vehicle industry may be left in the dust despite recent progress. According to CEO Royce YC Hong, “A considerable number of cells are needed to power electric vehicles, and the R&D and financial investment needed to develop, connect and package these cells often far exceed the budgets of small-medium sized vehicle manufacturers. It has taken established electric car manufacturers like Tesla and Nissan years to perfect efficient but complex battery packs which are highly tailored towards their specific vehicle types, and there are very few readily-available and reliable options for commercial and industrial vehicles”. To that end, the company is already working with vehicle makers from around the world to apply the battery and powertrain technology from Miss R in city buses, ride-sharing scooters, construction equipment and special-purpose boats. XING’s immersion-cooling, modularized battery system works by directly submerging batteries in 3M™ Novec™, an engineered cooling fluid, vastly improving heat transfer and cell uniformity, and allowing for market-leading power density. According to Co-founder and CTO Azizi Tucker, “the battery pack’s LEGO-like design caters to the wide variety of shapes, sizes and power requirements that you see within commercial fleets. It enables us to power our client's vehicles with minimal R&D and tooling, and uniquely enables us to deliver one-off custom pack design for prototyping."